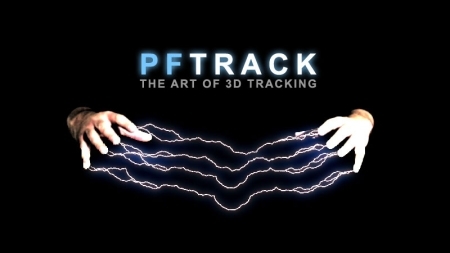 The PFTrack training series embarks in a in-depth look at 3d Tracking and Image Processing in an application that only few can develop. "Not only does PFTrack provide you with the best and most cost effective Match Moving system on the market but it also allows you to generate Optical flow data, Z depth data and geometry for use in your entire visual effects pipeline. Owning PFtrack is like having your very own Swiss Army Knife, but one in which you choose exactly which tools you need. When shooting objects from unmeasurable angle, often creates difficulty in extracting a proper base for your 3d scenes and match moves. Examples of this situation are best viewed on signs and detail on the side or facade of a building. Learn how to get these distances by properly placing scene orientation. PFTrack is a robust image application that also allows you to extract 3d meshes and textures from shot footage objects. We bring in a sequence, track it, and then build a 3d mesh so we can extract it and send the whole scene to an animation application. This workflow is best designed for film previz. The end of this project concludes with setting up a rigid body dynamics solver to test the 3d geometry data extracted from PFTracks camera solution. learn how to view and manipulate all assets imported into Maya of your favorite animation package. A common error amongst matchmovers would be tracking bad data or reflections. Reflections can cause points to move in a unorthodox behavior causing the final solution to slide around with out accurate results. We will take you through the art of rotoscoping with PFTracks masking tool. The footage from this project has great overhead detail, but lacks the proper contrast to track the traditional ground plane. Learn how to track areas of detail and leave place holders for your 3d animation package. In this screenshot you see the addition of ground geometry place based on markers tracked in PFTrack. After tracking a complete project from start to finish, learn how to analyze zChannel information based on the PFtrack camera solution. As long as your camera was shot in free motion, you can extract a grayscale depth map. PFTrack allows you to see this depth map as both an image and a wireframe. Another powerful image analysis tool is optical flow technology. Pull a RGB image sequence with the motion vector data directly within the PFTrack UI. Learn the basics of optical flow alterations to suite more complex image sequence needs. It wouldnt be a true cmiVFX training video unless we took that extra little step. This chapter will teach you all about 2D user features and how to use them in common VFX compositing applications. This project was based on the recent popular HP commercials featuring celebrity hand movements interacting with virtual objects. Buy a Premium Account Uploaded, Extabit & Rapidgator = High speed + Parallel Downloads! cmiVFX PFTrack 3D Matchmoving 2.45 GB Fast Download via Rapidshare Hotfile Fileserve Filesonic Megaupload, cmiVFX PFTrack 3D Matchmoving 2.45 GB Torrents and Emule Download or anything related.